In the UK we are fortunate to have many Castles full of history and interesting artefacts. Here are four local castles worth a visit in the area. 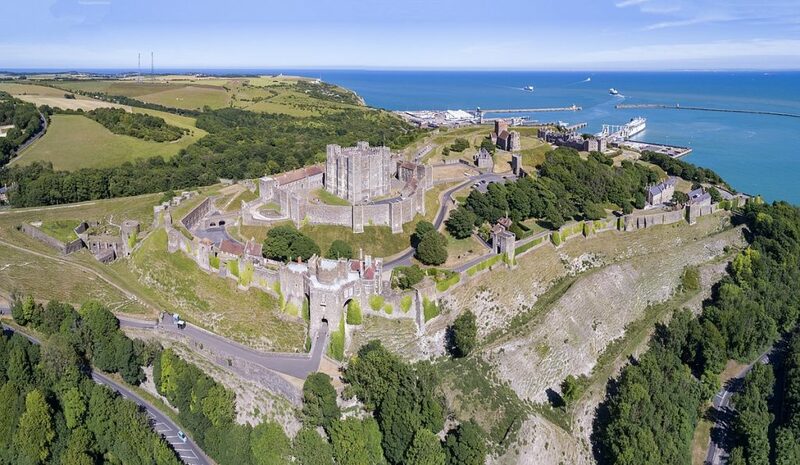 Dover Castle stands proudly on the famous white cliffs, which is the shortest sea crossing distance between England and France being only 21 miles. The site dates back to the Iron Age and inside the castle wall the Romans built a Lighthouse whilst the Anglo-Saxon’s built a church “The Church of St Mary in Castro” which still stands to this day. The present castle was built in the 1180’s by King Henry II and over the next 800 years the castle changed its defences to accommodate the changing threats from potential attackers. The castle has protected its shores even in recent times. The Napoleonic tunnels which were dug beneath the castle were brought back into use in 1940 and were used to organise the evacuation of Dunkirk . A visit to Dover Castle can easily fill a whole day. The Great Tower is as good a place to start as anywhere is. Seeing how royalty lived all those years ago and how the medieval kings lived. There are Audio and visual effects on offer that are designed to give you a feel of what it must have been like during that great Dunkirk rescue. 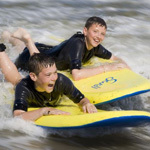 Facilities are good with a Cafe, restaurant, picnic area and toilets available. Walmer castle was built by Henry V111 in 1540 as part of his coastal defences against the French and the Spanish after his split with the Roman Catholic Church. Thankfully, the defences were never tested so the battle ready castle evolved into what it is today which is an elegant country home with beautiful gardens to match. The castle now serves as the official home to the Lord Wardens of Cinque Ports. Some colourful characters have held the position of Lord Warden including Winston Churchill and the first Duke of Wellington who lived in the castle very simply until his death in September 14th 1852 at precisely 3.25pm. These days the position of Lord Wardens is mainly ceremonial but is still a prestigious position. In the 19th century the gardens were added and became a favourite with Her Majesty Queen Elizabeth the Queen Mother with part of the eight-acre garden is named after her. If you’re visiting Walmer Castle and Gardens give yourself a full day as there is lots to see and do. There is obviously the Castle itself while the Wellington Room is a must where you can see how the Duke lived, the campaign bed he slept on and his beloved armchair in which he passed away. Outside there are the gardens to see and refreshments in the Lord Wardens Tea Room. 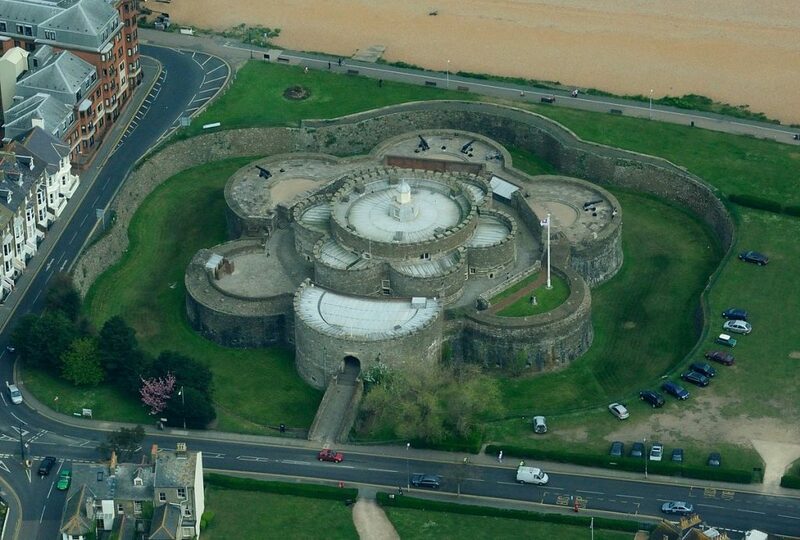 Deal Castle was built by Henry VIII as part of his coastal defence against the French and the Spanish with whom he had a disagreement with in 1538. Henry VIII felt that the Deal coastline was one of the most vulnerable to attack therefore he built his first and largest castle there in 1540. In fact he felt so insecure at the time he built three castles within two miles of each other. Deal Castle had the super-weapons of the day to protect itself. It was armed with the most modern armaments possible including the new cannon. The castle had 119 gun positions which Henry VIII considered was enough to defend that area of coastline. He was however concerned about the castle if it was built using traditional methods as it was vulnerable to direct hits from incoming cannon fire . He employed engineer Stefan Von Haschenperg to design the castle and he came up with the idea to construct a concentric castle. A series of curved overlapping walls which if hit directly would deflect the cannonballs lessening the impact. This in turn would allow his men to continue returning cannon fire. If observed from the air the castle looks like a flower. Many say Deal is not a castle and that it’s a fort but it is certainly different to Walmer Castle. Deal had a military history and remains the same today as it was in Tudor times. Take a walk around all of the castle, see the store rooms, the rounded bastions and get a feel of what it was like back in the day. 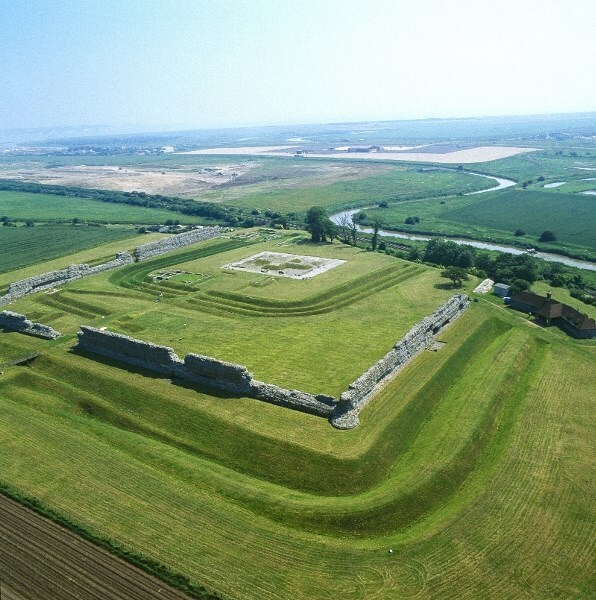 The Romans invaded Britain in 43AD and during their occupation which continued until the end of the Roman rule in 410 Richborough Roman Fort and Amphitheatre was a key strategic site of theirs. The first military fort was very basic as the Romans only intended it to be a beachhead on enemy territory and not a permanent military camp. It was not until the middle of the first century that Richborough became far more important to the Romans because all the Army supplies came through there. With the successful invasion came the inevitable Roman Triumphant Arch, which was located in the centre of the fort. Unfortunately, there is not much left of the arch although you can see where it was constructed. As the Romans moved North, Richborough became a civilian town with a hotel, temples and an amphitheatre. In the late 3rd century, the town was re-militarised and turned into a Saxon Shore Fort to defend against the threat of Saxon Pirates. The fort was completed in 285 but unfortunately, the triumphant arch was demolished during the build. Richborough Roman Fort and Amphitheatre is an incredible site, with the aid of the audio guide you really get a sense of what life was like there in Roman times. Whatever the weather you are conscious of what has gone before you, it can be a very spiritual environment. 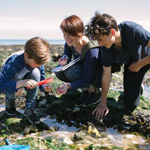 So, why not let your children and your imagination run wild at Richborough Roman Fort and Amphitheatre.